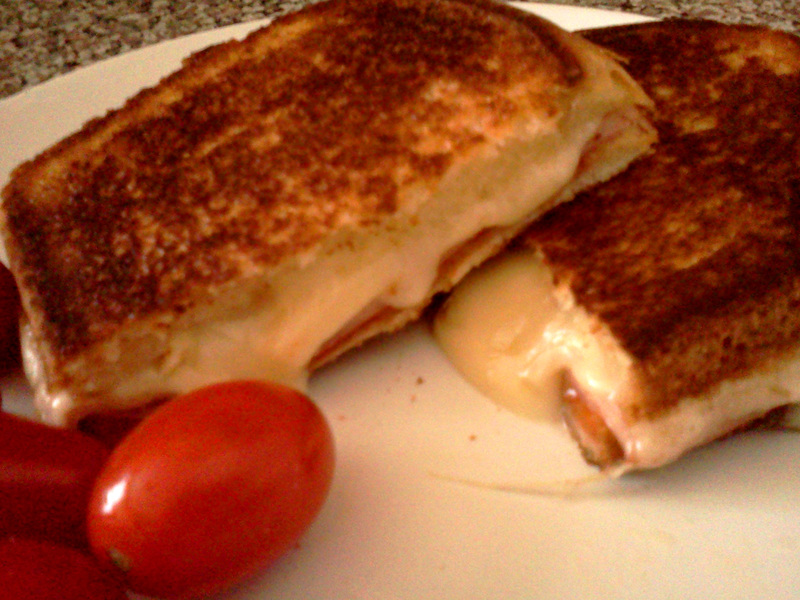 I really love grilled cheese sandwiches. I usually always have some kind of cheese at home, ALDI is quite a good source for it, good and cheap cheese. I like to mix different cheeses together, just for the flavor. and I like to have something fresh with it. usually I have some grape tomatoes, carrots or cucumber, but the other day I sliced an apple to go with the sandwich and it was delicious. it tastes the best when you butter the outside of the bread before putting it in the sandwich maker (if you have one, if not, grilling it in a pan works just fine. just make sure not to use too much heat so the bread would brown but the cheese still needs time to melt. my favorite for the sandwich are the more tasty ones, gruyere, actually any kind of real swiss cheese that smells. I also like to mix in softer cheese like camembert or goat. ‘wet’ cheeses are not so good, as the bread gets mushy. I love grilled cheese sandwiches too! I love them w/ mozzarella cheese too and it always goes well w/ tomato soup. Do you like tomato soup? oh yes, I love tomato soup. have you tried the one at PJ clarke’s? they serve it with a strip of grilled cheese. sooo good! Oh my goodness! It’s 11am and that’s what i want…now! !